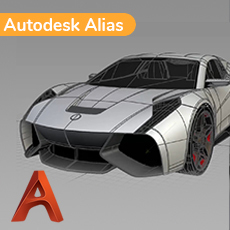 Autodesk Aias Workbench Free tutorials by Kerry Kingston. 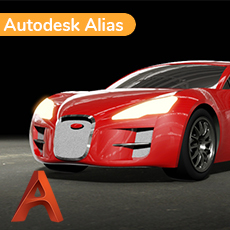 Learn the basic software and tools to get started with Alias Software, create Class A surfaces, Build project, etc. 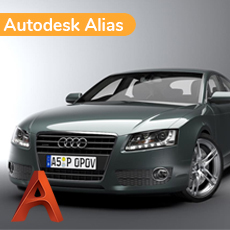 Today Autodesk Alias software is primarily used in the Automotive Industry and almost all the big manufacturers use these tools. Since NURBS surfaces do not have thickness they cannot directly be used for manufacturing and have to be translated to downstream CAD systems like CATIA , NX, ProE, etc. 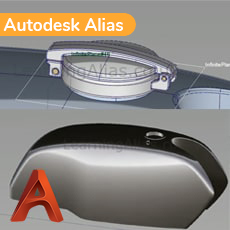 Though these CAD systems have their own surface modelling modules most design studios prefer Alias for its ease of use and intuitive evaluation techniques. A few studios have been experimenting with other alternative processes, where Polygon modelling software like Maya, Blender or Modo, is used for developing the initial models. Unfortunately poly modelling is not good for details like merging fillets and the final surfaces have to be modelled in Alias. 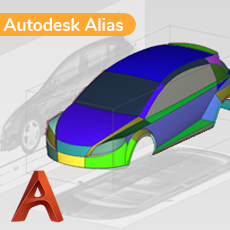 Autodesk Alias modelling is based on NURBS which allows users to create very high quality surfaces and evaluate the the reflective properties of these surfaces. This makes it ideal for developing the surfaces for Automotive Exteriors.